Joe Palmaccio talks about his 25+ years as a mastering engineer. Joe has won three Grammy Awards and has numerous Gold and Platinum albums. He's done mastering work for hundreds of artists including Willie Nelson, Elton John, Eric Clapton, Steely Dan, Michael Jackson, KISS, James Brown, The Isley Brothers, Rod Stewart, Barry Manilow, The Clash, Public Enemy, and Neil Diamond. In this episode, we talks about what mastering is (and isn't), how Joe got his start in the field, advances ... See More in recording technology, what musicians need to know about mastering, analog vs. digital recording, injecting new life into old audio recordings, and more. 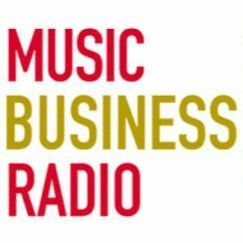 Joe also brought in "before and after" examples of how mastering can make a difference in recorded music and critiqued music sent in by Music Business Radio listeners from around the world.